It is easy to fall in love with the sights of beautiful Budapest. But the lovers in Dinesh Vijan's Raabta, a painfully elongated saga that plays out across two lifetimes separated by several centuries, don't, however, sit all that pretty on the wonderful landscape. The imposing Chain Bridge over the Danube dominates many of the frames, but the stale, credibility-stretching yarn about obsessive lovers ready to kill and die for a damsel drowns under its own weight. Vijan enjoys a fair name as a producer, having backed films like Being Cyrus, Love Aaj Kal and Badlapur. His long-time collaborator Homi Adajania is a co-producer of his maiden directorial venture. While that is perfectly understandable, it is difficult to fathom why the duo would have opted for a double-barrel love story so antiquated in its approach to the theme of reincarnation that it smacks of utter irrelevance. 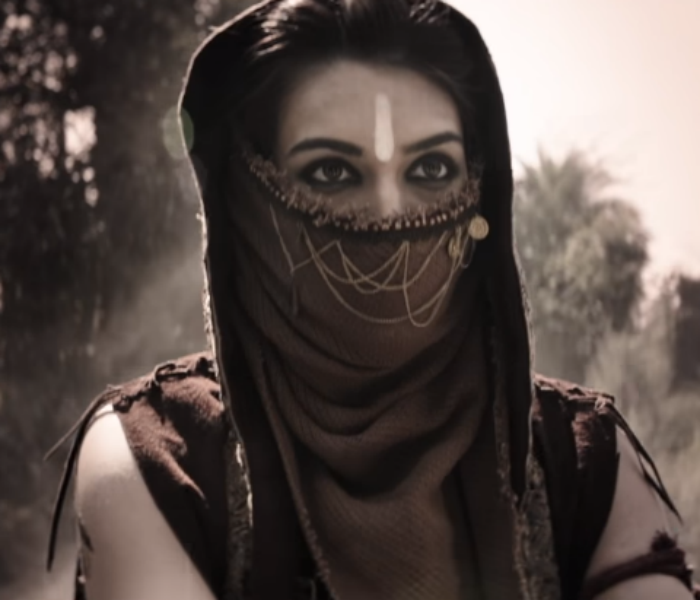 If Raabta, which is part Befikre, part Mirzya, part like nothing on earth, has any connection at all with common sense, it is at best tenuous. The hero of Raabta is the kind of guy who does not believe in taking no for an answer from women. The villain is understandably much worse - the word consent does not even exist in his lexicon. While the former takes the heroine for granted, the latter thinks nothing of abducting her and confining her in his den against her wishes. It is surprising that the lady chooses to play along as if it's all in a day's work. It is another matter that Sushant Singh Rajput (as Shiv Kakkar, a charming, glad-eyed gadabout newly arrived in Europe), and Kriti Sanon (as lonesome chocolatier Saira Singh fighting off sleepless nights and disturbing dreams) make a fetching pair and work up a fair amount of romantic lather in the first half of the film. But the cuteness overload that Raabta dishes out is anything but original. This is a film that is cloaked in layers of technical finesse - much of it is contributed by the lighting and visual compositions of Czech cinematographer Martin Preiss. In spirit, however, Raabta is stuck firmly in the past and not just in terms of the gobbledygook that is passed off in the guise of a plot. The hero thinks he is being clever when he proclaims: "Yeh joh ladkiyan hain woh hero se nahin heere se pyar karti hai." Slow clap. When Saira insists that she knows Shiv from a past life, the latter, an avowed sceptic, pokes fun at her: "Tum toh padi-likhi ho, English bolti ho, mod ho, Europe mein rehti ho." Though the characters in Raabta are repeatedly made to dive deep under the surface of the ocean, the film stays in shallow waters. One half of Raabta is an average boy-meets-girl tale in which a philandering Amritsar banker lands in Budapest with his bestie Raadha (Varun Sharma), and meets the troubled heroine in her patisserie. It isn't so much as love at first sight as a full-on invasion of the girl's privacy. Shiv barges into Saira's life without as much as a by-your-leave. She is swept her off her feet in 48 hours flat. Shiv's spell on Saira is so swift and complete that she ditches her boyfriend of two years without batting an eyelid. Their lovey-dovey banter is cruelly interrupted by a stinking rich liquor baron Zak Merchant (Jim Sarbh, seen last week in infinitely better light in A Death in the Gunj and last year as a heartless hijacker in Neerja). He traipses into their world and quickly makes a right royal nuisance of himself. He abducts the pretty damsel and confines her in his sprawling Gothic mansion on a rocky island. Zak's psychopathic obsession with Saira, we learn soon enough, has its roots a faraway time and place. Through her ordeal, the heroine figures out the hard way that her connection with the man she loves stretches beyond the confines of this birth. In this life, too, she has had a rough time, surviving a car crash that claimed the lives of her parents, which explains the nightmares that jolt her out of bed at night. Shiv provides Saira's heart the solace it badly needs but the advent of Zak reopens old wounds. The screenplay isn't the least bit interested in the here and now. Instead, it flies off at a tangent and into the tale of a ferocious tribal warlord and a ruthless prince who compete for the attention of a comely and brave princess. In their transmogrified avatars, the two men - Zak and Shiv - cannot bear to be away from Saira. 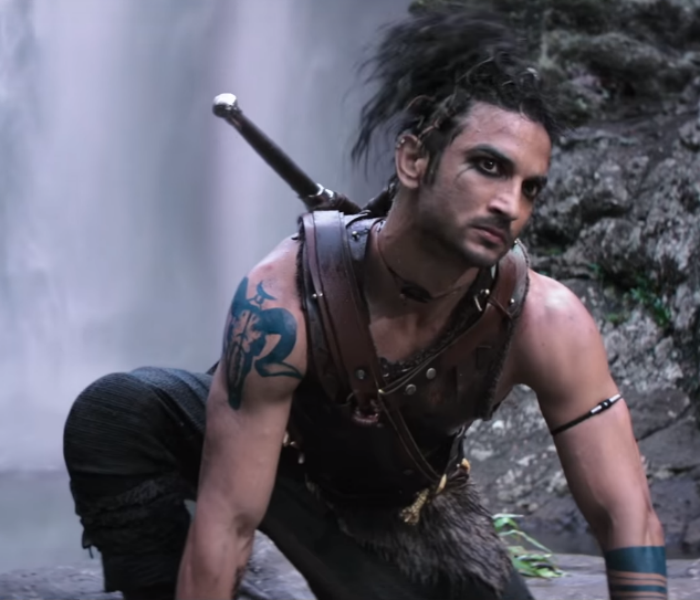 Raabta moves quickly from the superficially attractive to the archaic leaving a gaping hole in the middle. The characters are superficially etched. The banker never ventures anywhere near anything that resembles a bank. The liquor tycoon, too, has no time to devote to his business. It is only the chocolate girl who once in a while gets her hands dirty in her workplace. Given the lack of depth in his role, it is a marvel that Sushant Singh Rajput occasionally breathes life into the vacuum at the heart of the film. 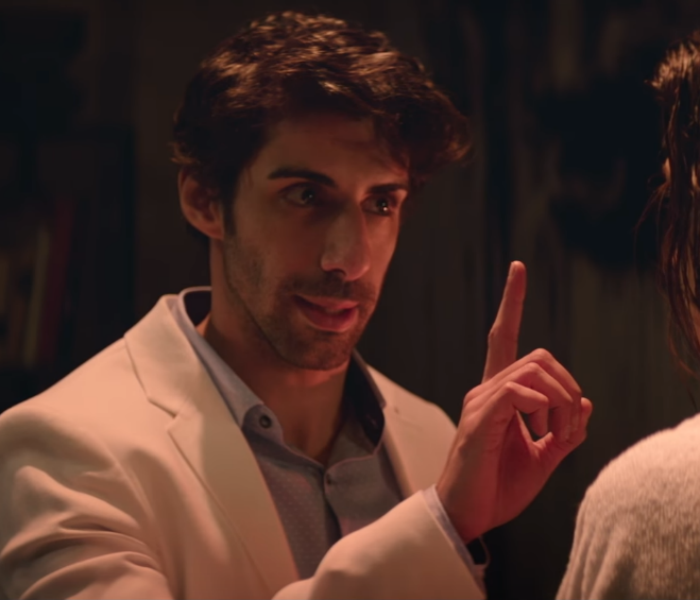 Jim Sarbh is out of his depth in the garb of a crazed lover. 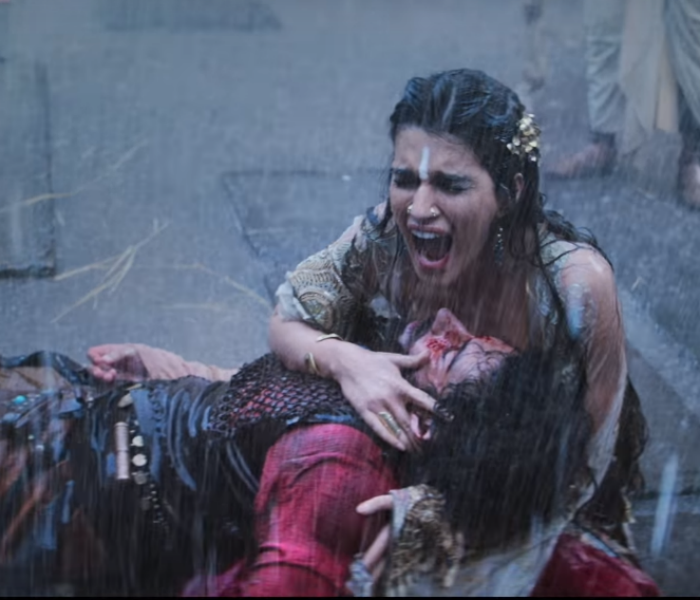 For Kriti Sanon,Raabta is a choppy, rudderless ride. 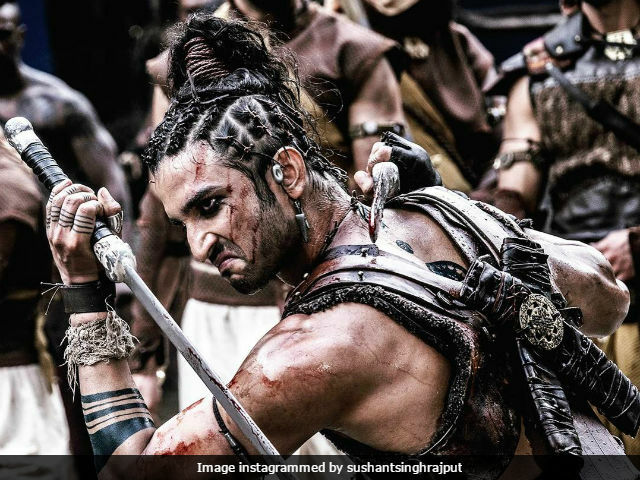 Raabta is only for Sushant Singh Rajput fans. When two and a half hours feel an hour too long, you know what's to be done. Avoid.